In 2001, the building was renovated and completely restored for $60 million, with the bottom two levels remaining as retail and office space with a food court on the bottom floor on the south end. The upper levels and the two nine-story office towers on each end were transformed into rooms for the Hyatt Regency Cleveland at The Arcade. The building’s elegant interior has long attracted photographers, both for portrait sessions and to capture its architectural splendor. The conversion to a hotel has since made it also a popular venue for weddings and social events. The Arcade sits on Euclid Avenue at the north end of the entertainment district on East 4th Street, across from The Corner Alley and a stone’s throw from Public Square. It’s easy to get there from the RTA Healthline running down Euclid Avenue, or the RTA Cleveland State Line which passes by the Arcade’s north entrance on Superior Avenue. It’s also a short walk from Tower City Center. 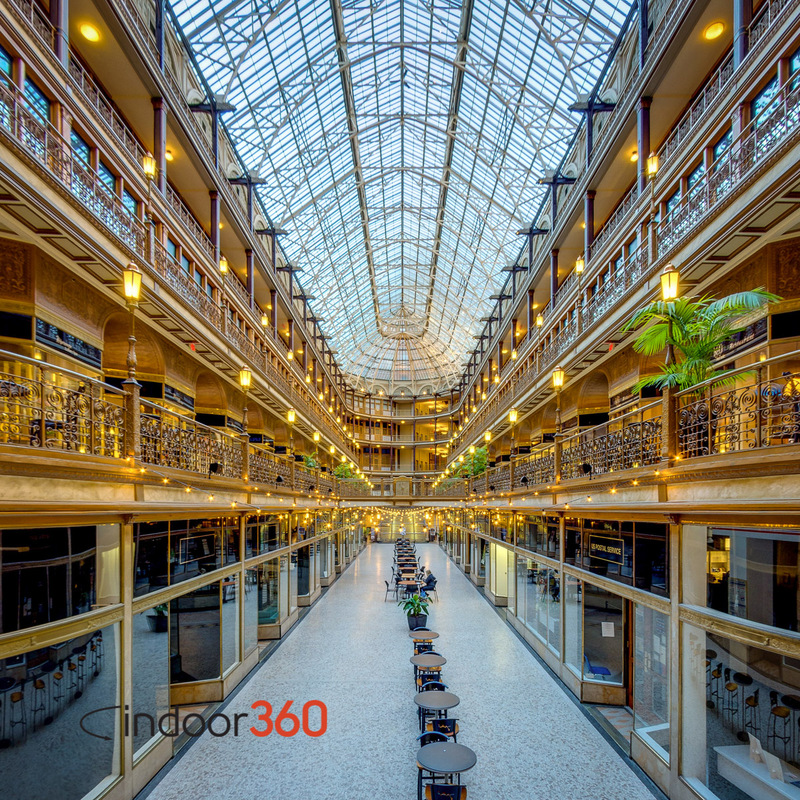 The Arcade in Cleveland, Ohio has a five-story skylight spanning over 300 feet. 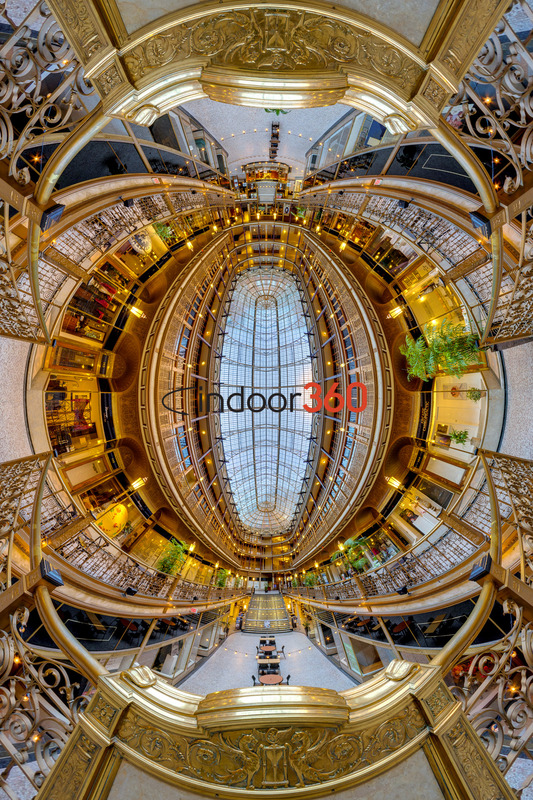 Opened in 1890, it is one of the earliest indoor shopping malls built in the United States and one of the very few remaining from this era. The inverted little planet projection from the catwalk centers The Arcade’s immense skylight and shows the elegant symmetry of the building in a very M.C. Escher-esque style.